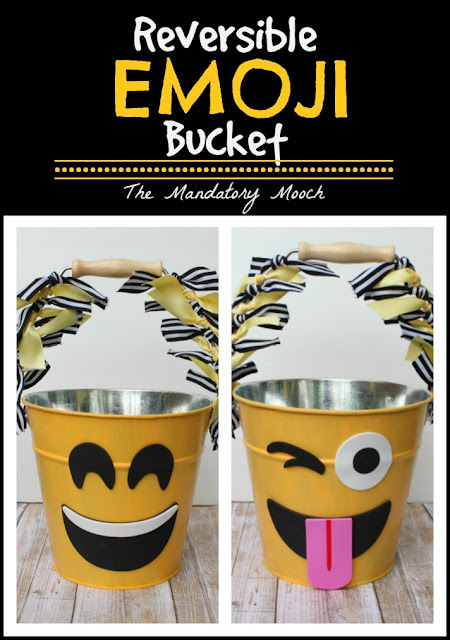 In honor of this special day, I created this super fun and happy Reversible Emoji Bucket. 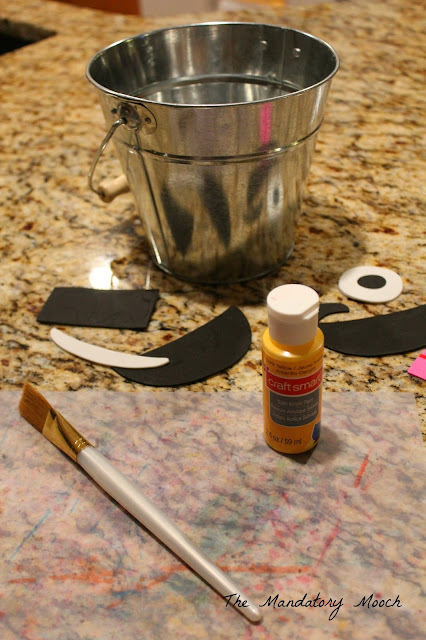 With the help of Oriental Trading, I had some great supplies to make it possible. Now, what am I going to do with my fun creation? Maybe a candy bucket? 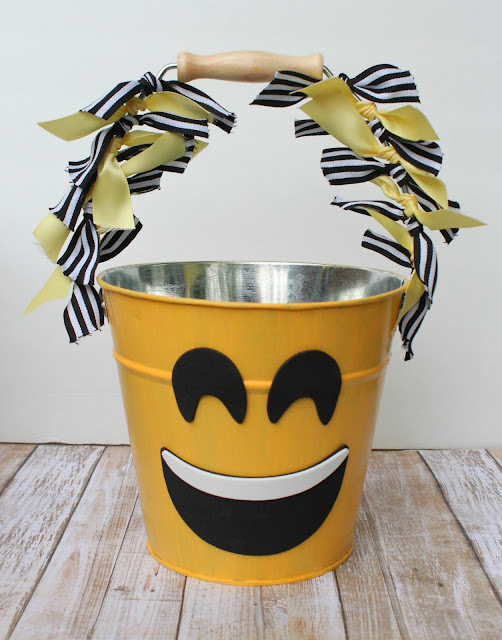 Gift bucket for a friend? Decoration for my office? 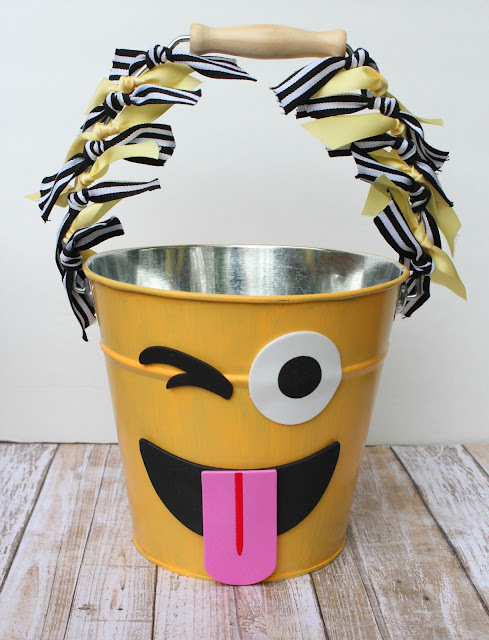 Bucket for craft supplies? Not sure yet. But, it will make me smile wherever it ends up! Paint the bucket yellow. 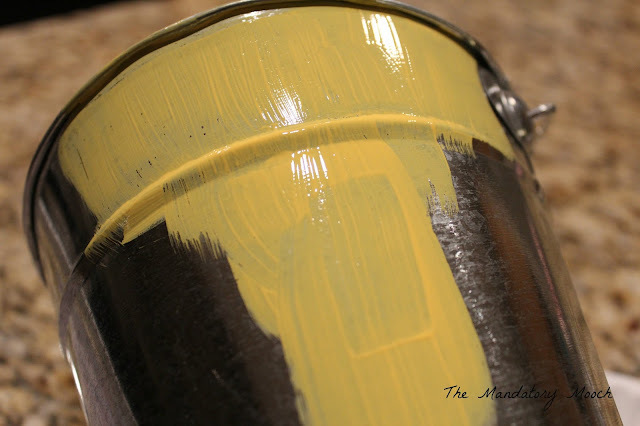 I did 3 coats. Attach the face stickers to the bucket. One face on one side, another face on the opposite side. 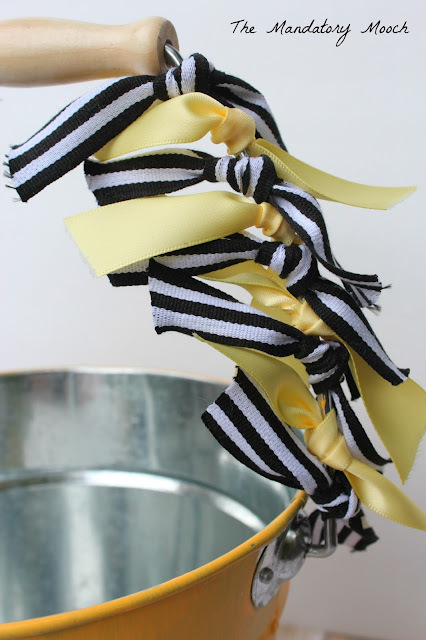 Decorate the handle with ribbon. 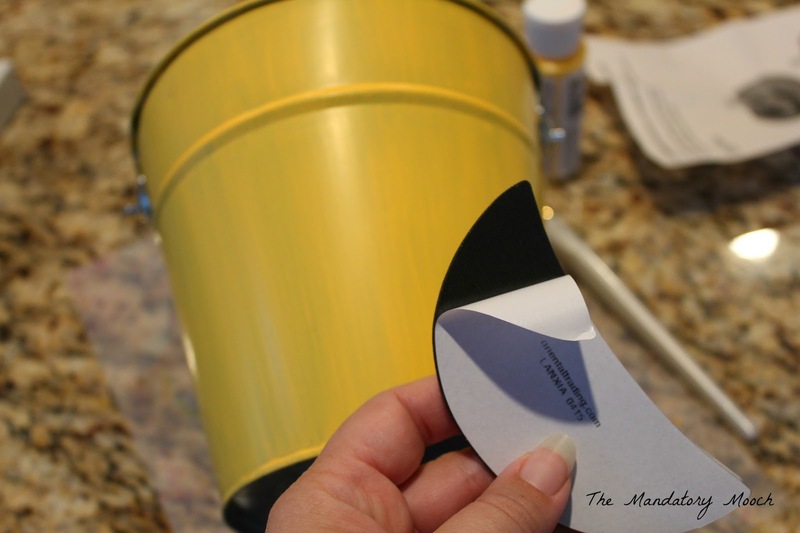 If you are looking for more great ideas and party supplies go to Oriental Trading.